New patent laws and regulations, the growth of generics and biosimilars, and increasingly lengthy research cycles and clinical trials mean that successful drugs and technologies are more valuable—and more challenging to monetize—than ever. At Marshall, Gerstein & Borun LLP, our attorneys have worked with pharmaceutical clients of all sizes to successfully identify, procure, license, enforce, and defend patents, trademarks, and other intellectual property for life-changing drugs. We draw on our deep familiarity with today’s patent prosecution and post-grant invalidity challenge processes, health authority regulatory frameworks, and industry-specific issues to help clients around the world attract and protect investments, defend market share, and improve the health of individuals and communities. To successfully develop and market their products, pharmaceutical companies require the skills of experienced scientists, engineers, sales staff, and business strategists—and legal counsel with broad and deep industry knowledge. Nearly all of our attorneys received undergraduate degrees in science or engineering, and more than 80 percent of our advanced degrees are in pharma-related disciplines. Many of our lawyers have also served in key in-house positions such as general counsel and patent counsel, and as technology transfer managers, scientists, and engineers. We also have extensive experience at the U.S. Patent and Trademark Office (USPTO). Our in-depth understanding of today’s regulatory framework allows us to provide strategic advice for pharmaceutical-related IP throughout the product lifecycle. We have deep familiarity with key issues involving the FDA Orange Book submissions and related use code descriptions, Paragraph IV patent certifications and Section viii carve-out statements, patent term restoration/extension and supplementary protection certificates, and orphan drug and pediatric exclusivities. We have procured, licensed, enforced, and/or defended key patents for more than 15 commercially marketed, FDA-approved drugs along with dozens of clinical trial candidates. This collective real-world experience means that we can quickly develop a comprehensive understanding of our clients’ business objectives and identify the most effective options for protecting and commercializing their innovations and products. The longevity and continuity of our team is well known; upon entering private practice, many of our lawyers spend the majority of their careers at Marshall Gerstein. We are equally committed to working with clients for the long term and have the resources and flexibility to augment or streamline our services as opportunities and challenges evolve over time. Our team works collaboratively with clients to protect original active pharmaceutical ingredients as well as related inventions that arise during development, including dosage forms and treatment regimens, and valuable second-generation therapeutics such as prodrugs, soft drugs, and analogs. We look backward as skillfully as we look forward, often helping clients review existing portfolios to identify previously unrecognized inventions that can become patents that offer important exclusivity. We advise start-ups, emerging-growth companies, multinational enterprises, and educational institutions at every step: from basic research and clinical trials through product development and commercialization, to licensing, acquisition, and sale of IP assets. We strive to understand each client’s business objectives and help them realize their unique vision. We work seamlessly with in-house teams and key leadership, offering a 360-degree perspective on potential deals that positions our clients to negotiate the best terms. We also draw on our experience and network of trusted counsel outside the United States to secure patent and trademark protection around the globe. We regularly conduct full IP due diligence in the context of multibillion-dollar mergers, acquisitions, divestitures, and joint ventures; draft agreements involving confidential disclosures, technology transfers, and IP asset assignments; handle freedom-to-practice analyses; and negotiate financing agreements. We have also handled worldwide clearance, registration, and defense of trademarks, domain names, logos, and copyrights in more than 150 jurisdictions, and have developed patent strategies for numerous commercially marketed drugs and drug candidates. For many of our clients, effective enforcement and defense of their intellectual property rights are key contributors to the success of a product or venture. Our litigators provide aggressive, skilled representation at the forefront of pharmaceutical industry disputes, including Hatch-Waxman (ANDA) matters, and negotiate effective settlements that align with business objectives. One of our recent cases was named “Hatch-Waxman Impact Case of the Year” at the LMG Life Sciences Awards, and we have won patent disputes involving some of the world’s best-known and best-selling blockbuster drugs. We have also helped clients prevail in inter partes and other post-grant review processes. Marshall Gerstein worked closely with InterMune, Inc., to build an extensive patent portfolio relating to Esbriet®, which is approved in the United States, Europe, Canada, and elsewhere throughout the world for the treatment of adults with mild-to-moderate idiopathic pulmonary fibrosis (IPF). We pursued a successful strategy of accelerated examination in the United States and Europe, securing a number of patent grants relating to the Esbriet® formulation and its safe and efficacious use in IPF patients. We also handled the IP due diligence relating to InterMune’s acquisition by a global pharma company for U.S. $8.3 billion. We led the patent due diligence related to our client’s acquisition of an oncology product valued at U.S. $900 million. In a case named the LMG Life Sciences “2014 Hatch Waxman Impact Case of the Year,” we represented Northwestern University, which holds several patents covering pregabalin, the active ingredient in the blockbuster drug Lyrica®. 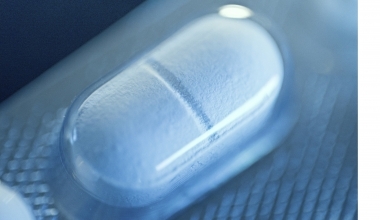 The case was filed against seven generic-drug company defendants seeking to market generic versions of Lyrica®. After a two-week bench trial, the judge issued a decision finding in favor of Pfizer and our client on all issues. The case was appealed to the U.S. Court of Appeals for the Federal Circuit, which affirmed all aspects of the district court decision. Marshall Gerstein’s trial team represented ICOS (part of Eli Lilly & Co.) in a case in which Vanderbilt University sought to add its scientists as co-inventors to patents covering the manufacture, sale, and use of tadalafil (the active ingredient in the blockbuster anti-impotence drug Cialis®). We conducted a two-week bench trial in the U.S. District Court for the District of Delaware, winning a favorable verdict from the judge, a decision that was subsequently upheld on appeal to the U.S. Court of Appeals for the Federal Circuit. Vanderbilt Univ. v. ICOS Corp.